Enjoy Some Soft Shell Crabs! 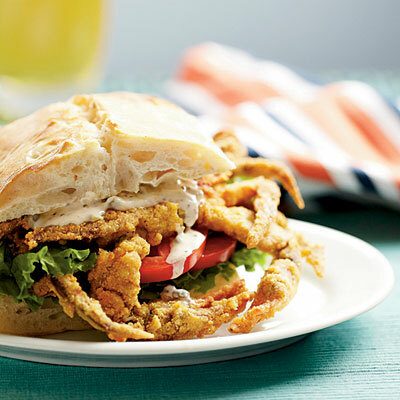 With spring comes the return of soft shell crabs being featured on many Hilton Head menus! The only thing better than cracking through a plateful of sweet, succulent blue crabs is enjoying them without all the work and the flying shell pieces. Many people think soft shell crabs are a different species from the blue crab but it’s really just a matter of accommodation. As the blue crabs mature they break out of their too-small shells and grow new ones. As they wait for their new shells to harden they hide in the mud from predators, human and otherwise. Crafty crabbers catch the crabs before they molt and keep the “jimmys” in shallow trays, irrigating them with bay water until they show signs of cracking. The “busters” are then hustled to market to satisfy the local craving for the seasonal delicacy! 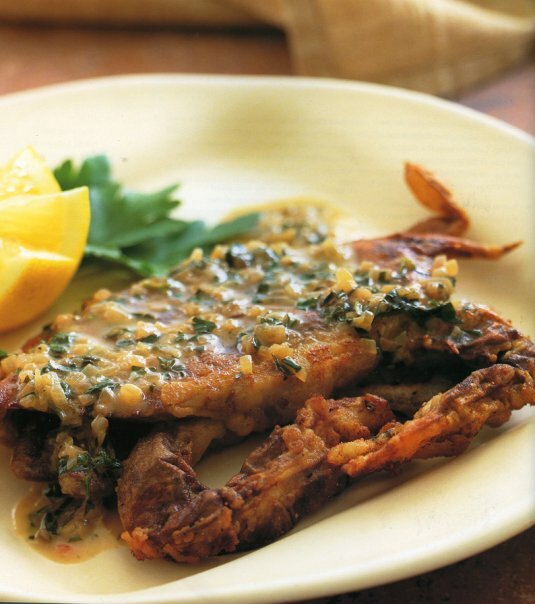 The tender soft shell adds a satisfying crunch and even more great flavor to the now completely edible crab. 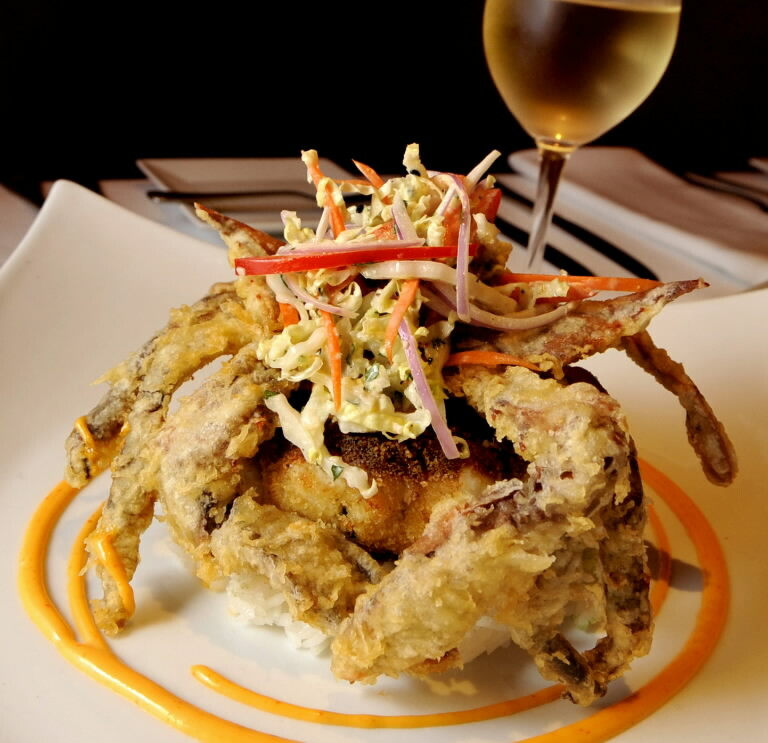 Soon many of the local restaurants around the island will be featuring soft shell crab on their menus, if you want to cook them up on your own you can purchase them fresh at the Bluffton Oyster Company or Hudsons. Be sure not to miss this coastal delight! Plan your visit to Hilton Head Island today! Up the Creek Pub and Grill-The Sunset Concert Series! — The RBC Heritage Golf Tournament Opening Ceremonies!